COFFEE & CANVAS – STILL LIFE | SPARK! Creative Artspace. Let us Spark! your Art! On Sunday, January 10, 2016 Spark Creative Artspace will be hosting another in its popular canvas events. 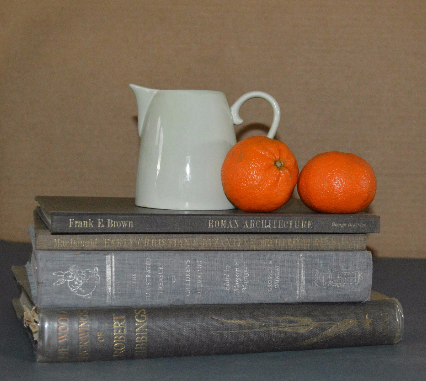 Spark artist Sofia Burgess will be leading the event and for something different she has chosen a classical still life. The event will run from 2-4 pm at Spark’s studios, 251 Jefferson St. in Greenfield and will be open to all ages. This would be an excellent opportunity for a mother-daughter experience. The fee is $30 for adults 18 and over and $25 for younger participants and will include a stretched canvas, use of all Spark supplies, refreshments and professional guidance and assistance. Advanced reservations and payment may be made in two ways. By mailing a check for the total amount to Spark Creative Artspace, PO Box 325, Greenfield, OH 45123. Please include your name, phone number, and email address. Checks must be received by January 8th. You might also email details of your order to sparkcreativearts@gmail.com. Register and pay online by using Eventbrite and a major credit card. Just click the Eventbrite button below. Spark is a non-profit and totally volunteer organization and all proceeds go towards helping Spark Creative Artspace meet its monthly expenses. Spark may be contacted at 937 763 ART1 (leave a message).